The guys over at Kawasaki got so sick of having to wait until the wee hours of the morning to ride their Groms that they went out and made their own. 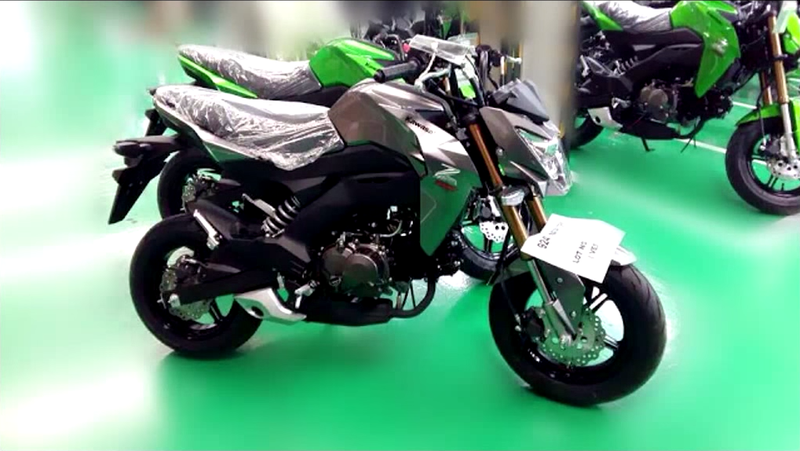 Meet the Kawasaki Z125. This “spy shot” was posted by Thai site Motorival.com, but is too grainy to learn much from. I do like the underside exhaust and almost Buell-ish frame though. This really does look like a shrunken Z1000 or Z800, especially with that headlight. The Honda Grom has been a massive success, and it’s awesome to see someone bringing some competition. Dealers still can’t keep them on showroom floors, so this will at least add some inventory for those of us still trying to build race bikes out of them. I recently participated in the M1GP24 24 hour endurance race (post coming soon! ), and the Groms there smoked our XR100 powered Aprilia RS50 - but they’ll have another thing coming next year.